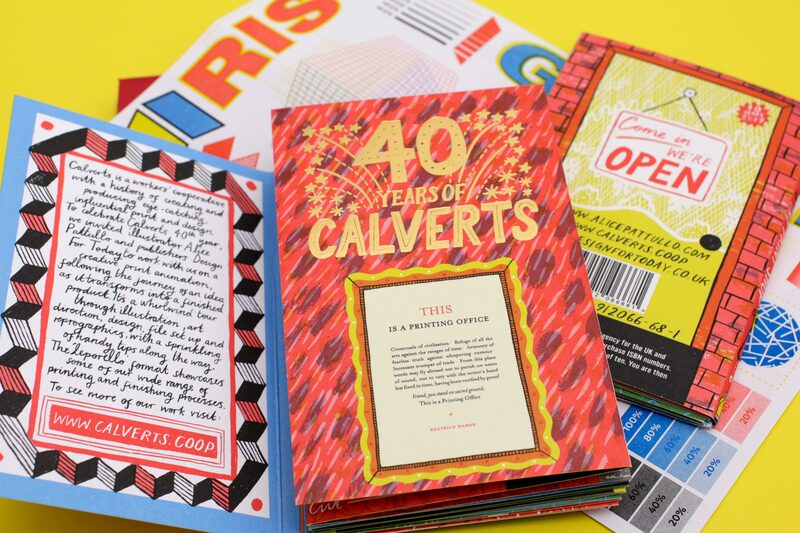 Taking the form of a leporello-folded brochure, The Print Shop follows the journey of a creative idea from artwork to finished article, through the stages of choosing techniques and materials, reprographics and proofing, putting ink on substrate, and applying finishing touches. 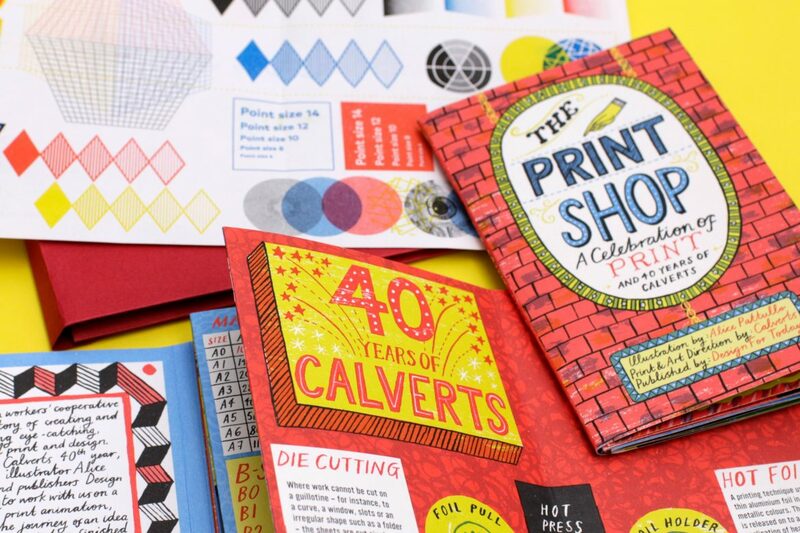 The Print Shop was co-created with East London illustrator Alice Pattullo, who brings humour and insight to a subject that’s sometimes shrouded in mystery and jargon. 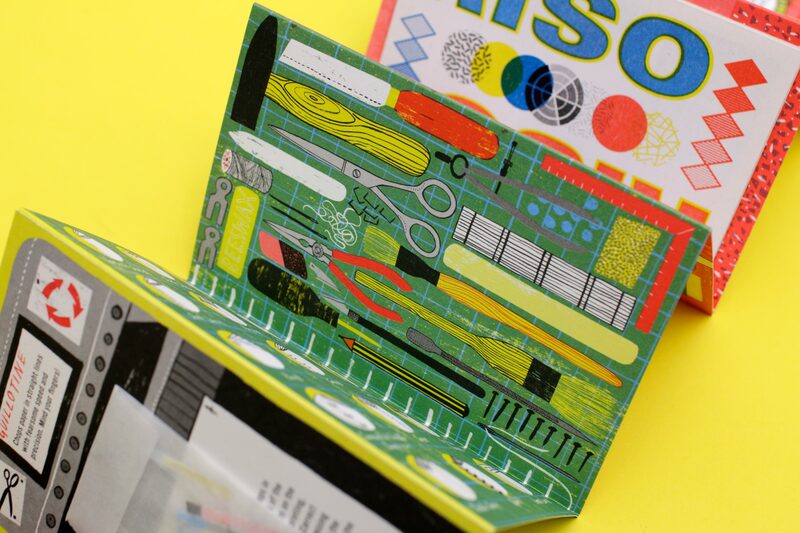 Distribution is by Joe Pearson at Design for Today, who works with designers, producers and illustrators to create limited edition books, cards, and printed pleasures for discerning collectors and enthusiasts. 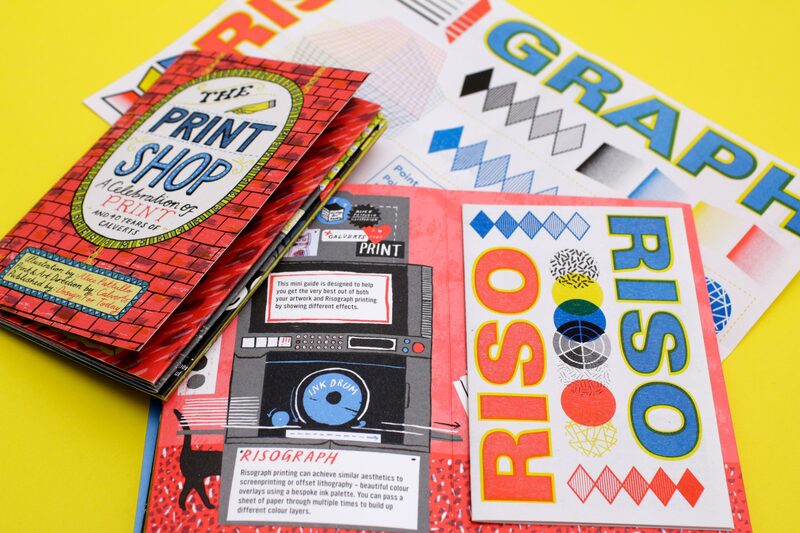 You can buy a limited edition copy of The Print Shop on Design for Today’s website.